Not sure of how to go about starting your fitness journey? You may want to consider choosing a nutrition tracking app. Fitness apps allow you to manage your fitness and nutrition with a few taps and is always at your fingertips. Fitness Tracker apps are designed with you in mind, keeping track of fitness, nutrition and also giving advice on diets and meal plans. Because technology as an inspired change in the way we interact with the world and with fitness trending again in pop culture, the media is flooded with fitness apps. Choosing a good fitness tracker app and can dictate how you achieve your goals. Therefore, it is important for you to choose the right one. Listed below are the best fitness trackers available on the market. The Myfitness Pal app designed by Under Amour is the highest-ranking fitness app on the market. This app makes it easier to manage your diet while keeping you on the tract in accomplishing your fitness goals. In addition to tracking your diet, this app also tracks your exercise, workouts and fitness goals. This app maximizes the way you view your nutrition by allowing users to personalize the app by adding important information so that the app is most effective and efficient for the user. In addition to putting the users’ needs first, the app is also very functional, with simple and sleek software that allows users to navigate the app easily. The app is very simple to use, and with over 5000 food options available to be entered as a food entry, it is more reliable for users. 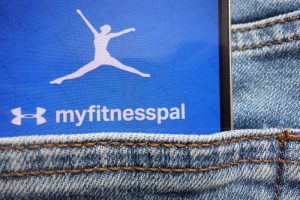 This also allows MyFitness Pal app to be more accurate, allowing users to choose exactly what they ate and is more genuine and reliable for them. Thus, for analysis, the data is more accurate. The best part about this app is that it’s totally free! Myfitness Pall prioritizes the fitness and nutritional needs of their users over profit showing its dedication to their users. This app is also compatible with Android and OS systems. The MyPlate Calorie Counter app is sleek, colorful and bold! With new and updated software, the MyPlate Calorie Counter app is visually pleasing and simply beautiful to interact with. This app created by Livestrong has millions of users who have reported losing significant weight and fulfilling their fitness goals as a result of the MyPlate Calorie Counter app. MyPlate Calorie Counter allows users to insert their diet, exercises, and work out which is then analyzed to give the users an understanding of what their diet looks like and the advantages and disadvantages of their diet. This app also allows you to track your nutrition and fitness progress and see your results, which is inspiring for users and acts as a form of motivation for them to continue pursuing their goals. 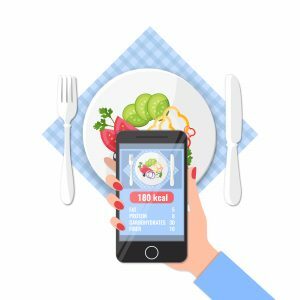 The app also helps users to craft a better diet by suggesting food portions and even crafting meals plans for users in regard to their fitness goals and food preferences, which are all a result of the in-depth analysis. These meal plans come equipped with recipes and take into consideration dietary preferences us such vegan, gluten-free and vegetarian. You can also make your shopping lists based on the recipes you are planning to make. This app is available on the App Store and Google Play which makes it compatible with Android phones, iPhone, and even Apple Watches. Carb Manager is designed with people following a keto diet in mind. This app makes staying on track with your Keto diet a breeze with numerous features that seeks to inform users about the food options available to them and designing meals with their goals and nutrition as a priority. The Carb Manager comes equipped with a carb counter that allows you to scan barcodes or use a search engine to find and identify the carbs you eat in a search engine of over 1,000,000 options. Once you’ve set your food preferences, nutrition, and fitness goals, the app takes that information and creates a meal plan for you that will optimize your goals and make your goals easier to attain. This meal plan can be easily translated into a shopping list as well, which can be created with a simple touch of a button. Don’t know what to eat? This issue is taken care for you as well with approximately 360,000 low carb recipes to choose from and in-depth recipes to help you create these recipes on your own. Additionally, the Carb Manager offers users an in-depth analysis of their nutrition and fitness goals that allows users to be more effective in achieving their goals and optimizes their progress. This app is available on the Web, App Store and Google Play. This fitness tracker app comes equipped with its own mascot that accompanies you on your fitness progress as well and provides motivation every step of the way. In addition to a great mascot, Lifesum allows you to log your meals and workouts while receiving advice on how to maximize your fitness goals and nutrition goals. Not sure of what your diet show looks like? That’s okay because Lifesum has you covered. Lifesum has created a quick test that looks at your food preferences, nutritional goals and fitness goals to craft the perfect diet plan for you. And if you’re not sure how to go about implementing that diet, the Lifesum app provides thousands of recipes taking into consideration different food preferences. The app allows you to use the recipes that you’ve found and created a shopping list the direct ingredients needed. Lifesum has recently improved their app to better serve their users. The new software design, which is both modern and elegant with bursts of color, is simple to use and navigate making users’ time spent on the app more effective. The app also has new programs available to users that prioritizes their fitness goals and gives guidance on how to meet these goals in addition to 5-ingredient recipes! This app is available on the App Store and Google Play with a striking rating of 4.5 stars.